An EMP, which is a high energy burst of electromagnetic energy, could be released by a nuclear weapon detonated high in the atmosphere, and might completely knock out or fry any unprotected electrical system, as well as crucial automatic control systems, Maloof explained. In the event of a long term grid shutdown, there would be a cascade of catastrophic events that would sweep across the country, wiping out urban centers, with nine out of 10 people dying within the first year, he reported. What would it take to force the American people to unravel? It would take a tremendous amount of trauma and mass angst to amass a trigger event that would most certainly cause a riot or unease en masse. Our government knows of the many models that have been considered and have developed many tension strategies and psychological operations that would create a perceived crisis big enough to ensure utter chaos. In fact one of my favorite Twilight zone episodes “The Monsters are due on Maple Street” illustrates how easily civilized manners can crumble in the face of panic. In that episode it takes a citywide power failure to send people into a crazed frenzy – where panic and paranoia breed a neighborhood of suspicion and resentment. Nearly two decades of the 21st century have gone by and the things we take for granted have multiplied way beyond the ability of any of us to understand in a lifetime. The things around us, the man-made inventions we provide ourselves with, are like a vast network each part of which is interdependent with all the others. Change anything in that network, and the effects spread like ripples in a pond. And all the things in that network have become so specialized that only the people involved in making them understand them. We all live in cities and small towns that have technologies and innovations that we take for granted – most of us know that they work for us, but we don’t know how they work for us. Without these innovations and technologies, our houses become more like boxes. Our lives revolve around supplies and technologies that magically come to life from the outside. The entire world is a massive structured box that relies on power supplies from the outside. Without those supplies, the entire massive Box and the teeming millions it encloses would die. The pace of our lives in our particular box is set by the pace of the technology that serves it. We all hope it remains that way because no one can handle being trapped in a blackout box. What is a blackout box? Well, it is a simplified metaphor based on a tool used for torture by the CIA. The Blackout Box was a so-called enhanced interrogation box where confinement in a dark box that is padlocked is enough to cause mental distress. This is an extreme metaphor as confinement in a small box that is padlocked shut would cause anyone to lose their minds. However, on a bigger level being confined in a “shelter in place” scenario during a power blackout could eventually create consensus distress within 36 to 48 hours. Take a look around at the room you’re in. Now look at all of the appliances in that room that surround you – the radio or computer that is broadcasting this show, the lights, the phone, you will use to call in, if you choose the television and so on. Now ask yourself what those objects do to your life just because they’re there. Now imagine that these innovations stop working – it would be the equivalent of living in a big blackout box. You would have to make certain sacrifices in order to live. This morning, there was a little demonstration that took place in three major cities where power blackouts coincidentally happened one right after the other. A series of subsequent power outages in Los Angeles, San Francisco, and New York City left commuters stranded and traffic backed up. Although the outages occurred around the same time, there is as of yet no evidence that they were connected by anything more than coincidence. However the timing of these power failures is very suspicious. The first outage occurred at around 7:20 a.m. in New York, when the power went down at the 7th Avenue and 53rd Street subway station, which sent a shockwave of significant delays out from the hub and into the rest of the subway system. By 11:30 a.m. the city’s MTA confirmed that generators were running again in the station, although the New York subways were set to run delayed into the afternoon. The MTA and Con Ed were feverishly working to determine the cause of the outage. Later in the morning, power outages were reported in Los Angeles International Airport, as well as in several other areas around the city. The mother of all outages of the morning happened in San Francisco. The massive outage is closed BART stations, shutdown traffic signals, and affected office buildings. Residents and workers in the area are calling it “totally surreal.” Many were trapped in elevators. Traffic lights were out and drivers clogged major arteries in the city. The outage came after a substation fire on Larkin Street, but officials have yet to officially cite the cause of the outage. The timing of the outage has been discussed by bloggers on Reddit and in independent conspiracy theorist logs because of the impending EMP drill called, Operation Gotham Shield. It is a tabletop, joint agency exercise involving FEMA, Homeland Security and a myriad of law enforcement and military agencies. WMD, chemical and biological units will all be on hand as a response is tested for a “simulated” nuclear detonation over the United States’ foremost urban center, in the densely populated island of Manhattan and nearby New Jersey. The exercise will commence on April 24th, and will continue through the 26th. There are others that claim that the April 24th date is just for the public awareness and for first responder participation, the “secret” component of the exercise includes a “cyber attack” scenario where an enemy attacks the power grid of a major urban center shutting down internet, banks and businesses — this allegedly was supposed to take place April 18, 2017 and will last until May 5, 2017. So apart from what the mainstream narrative is reporting – could this be the first phase of an exercise simulating a power failure in three major cities? Murad Raheem, Field Supervisor, HHS Region II, Regional Emergency Coordinator Program, shared information about a national exercise that FEMA began from mid-April through early May. 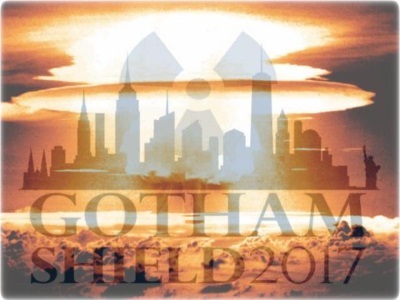 In another report the US Occupational Safety and Health Administration (OSHA) says the Gotham Shield Exercise started already, on April 18, and continues to May 5. With such a wide window for the exercise there are some that are seeing today’s blackout in three major cities as a test. Some are worried that the exercise will go real time and that during the operation a real EMP attack will take place. If you recall on the morning of September 11, 2001, the United States government was running military exercises to simulate attacks on the World Trade Center using commercial planes. On July 7, 2005, the British government was running military preparedness exercises simulating terrorists setting off bombs in the London Metro. Operation Gotham Shield will take part in a simulated 10 kiloton bomb detonation that will release an EMP over New Jersey. ‘Safely’ was a relative term as we all knew that tens of millions of citizens would be dead, wounded or irradiated to the point of a slow and painful death. Operation Dominic was a series of 31 nuclear test explosions with a 38.1 Megaton total yield conducted in 1962 by the United States in the Pacific. This test series was scheduled quickly, in order to respond in kind to the Soviet resumption of testing after the agreed upon 1958-1961 test moratorium. Most of these shots were conducted with free-fall bombs dropped from B-52 bomber aircraft. Twenty of these shots were to test new weapons designs; six to test weapons effects; and several shots to confirm the reliability of existing weapons. 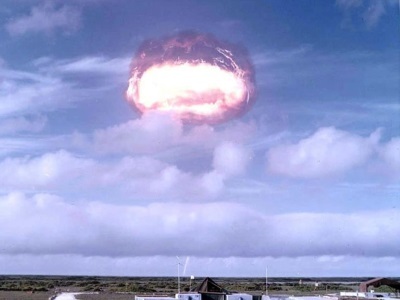 The Thor missile was also used to lift warheads into near-space to conduct high altitude nuclear explosion tests; these shots were collectively called Operation Fishbowl. Operation Dominic occurred during a period of high Cold War tension between the United States and the Soviet Union, since the Cuban Bay of Pigs Invasion had occurred not long before. Nikita Khrushchev announced the end of a three-year moratorium on nuclear testing on August 30, 1961, and Soviet tests recommenced on September 1st, initiating a series of tests that included the detonation of Tsar Bomba. President John F. Kennedy responded by authorizing Operation Dominic. 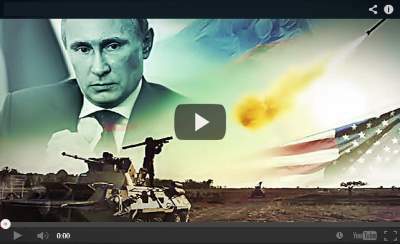 It was the largest nuclear weapons testing program ever conducted by the United States, and the last atmospheric test series conducted by the U.S., as the Limited Test Ban Treaty was signed in Moscow the following year. During Operation Dominic, we learned that when a multi-megaton-yield anti-ballistic-missile nuke warhead is detonated at the very high altitudes where incoming Soviet nuke warheads would be intercepted, in addition to destroying the incoming Soviet warhead, our ABM nuke’s enhanced radiation also produces extreme charge separation in the underlying atmosphere. That is, the atoms in the air are not merely ionized but are separated into positively-charged ions and negatively-charged electrons. An infinite amount of those ionization electrons are driven far away from the ions, creating a mountain of high-frequency dipole radio transmitters. The result was a multi-frequency electromagnetic pulse or an EMP. The United States discovered that this pulse from a nuclear warhead far above us can interfere catastrophically with the operation of certain kinds of electrical and electronic systems at considerable distances. That first high-altitude megaton-yield nuke test over Johnson Island resulted in power system failures in Hawaii, more than 700 miles away. Once the EMP effect was discovered, we did two things. One was to spend a billions of dollars EMP-proofing all military electrical and electronic components and weapons systems. According to the Commission, China and Russia have done the same. In fact, in May 1999, during the NATO bombing of the former Yugoslavia, high-ranking members of the Russian Duma, meeting with a U.S. congressional delegation to discuss the Balkans conflict, reportedly raised the specter of a Russian EMP attack that would paralyze the United States. In August of 2015, James Woolsey, former director of the Central Intelligence Agency, and Peter Vincent Pry, executive director of the EMP Task Force on National and Homeland Security, told the Washington Times that Iran or North Korea could obtain a low yield nuclear device relatively easily. He indicated that Iran could actually covertly cheat within their nuclear agreement with us in the use of the nuclear infrastructure in North Korea to obtain a low yield bomb for purposes of an EMP strike. Could you survive after an EMP attack? Would you be able to sustain your loved ones when all hell breaks loose? 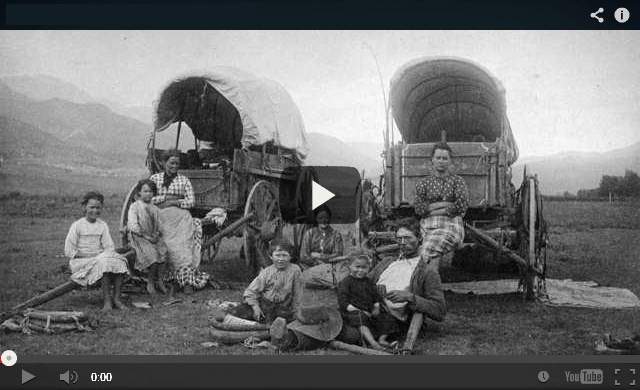 In this video, I will unearth a long-forgotten secret that helped our ancestors survive famines, wars, economic crises, diseases, droughts, and anything else life threw at them… a secret that will help you do the same for your loved ones when America crumbles into the ground. I’m also going to share with you three old lessons that will ensure your children will be well fed when others are rummaging through garbage bins. Click here to learn all about the 3 skills that will help you thrive in any crises situation. Most bombs that North Korea has tested have the power of 10 kilotons or less. As outlined by James Woolsey l enhanced radiation weapons such as Super-EMP weapons are essentially very low-yield atomic Bombs, that typically have yields of 1-10 kilotons, just like the North Korean bombs. North Korea as a matter of course exaggerates its military and technological accomplishments—but we may want to stop and wonder if Kim Jong-un could be telling the truth about being able to disable America or its allies. An EMP detonation would disable all of our technology. 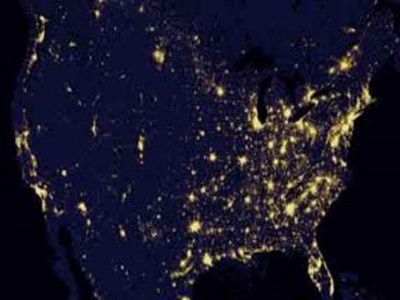 If a nuclear device designed to emit EMP were exploded 250 to 300 miles up over the middle of the country, it would disable the electronics in the entire United States. Everything would shut down instantaneously. This would disable the entire electric grid. It would disable communications, it would disable fuel manufacturing and production, it would disable hospitals and medicines, and it would disable 911 call centers. Water treatment facilities and food storage facilities – everything would be gone. Financial records would be wiped out. Your investments would be gone. Your medical records and prescriptions would be zapped. Heating and air conditioning, supermarkets, telephones, and radio and television, banks and ATMs would shut down, credit cards would become useless, and hospital operating rooms would close. While vehicles made before 1970 might still work, they would be useless. That’s because gasoline could not be obtained, and newer cars and trucks, disabled by the pulse, would block the roads and highways. In most cases, the damage to chips would be permanent. 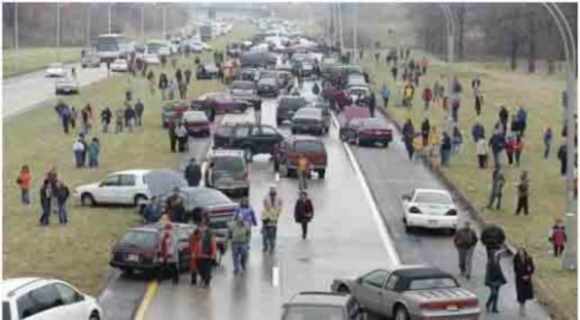 Because tow trucks would not operate, cars would never be cleared from roads. The vast majority of Americans would die from starvation or disease or would freeze to death. All this from an attack from above. There would be no mushroom cloud, no burning buildings, and no people turned to ash, just everything would shut down, putting everyone in a very uncomfortable black box. Without that power grid, without that vital machine that we plug into, our world would not only plunge into despair, but many people would die and many others would have to adapt and in the chaos would find themselves doing things like looting or even killing to find a power source so that their lives could feel a sense of normalcy. We have seen situations in fictitious stories where people are faced with the fear of having to live in a world with limited or virtually no resources to give them comfort. Television shows like “Under the Dome” and “Revolution” may be for some, a look into what an unplugged dystopia may be like. For the majority of time the Continental United States has nonchalantly taken for granted that the great power machine known as the grid won’t fail us. There are little inconveniences like power outages from a transformer that may have short circuited because of an unforeseen circumstance and we always hope that a lineman or electrician will be there to restore our sense of entitlement so that we can get on with our day. Take away that comfortable necessity and the United States turns into a land mass that becomes quite literally an obstacle of big trees, huge rivers that need to be crossed, rugged mountains, deserts and plains that become disconnected with terrified people that realize that they are alone and desperate when the night falls. We all know our ancestors dealt with all that in the past, but they had to struggle before they found that time where conveniences could be had. With all of the power and the geniuses who were able to connect us all, we won over the perils of the primitive life. Some have seen this problem coming for a long time and changed their entire way of life by going off-grid. They have found alternative sources such as solar, wind and diesel to power their homes and machinery. A majority of us, who have not gone off-grid, are making a concerted effort to avoid dependence on this ailing infrastructure and preparing for life without it. One detonation of a mighty EMP would create chaos. The cost of rebuilding the grid would run into the trillions of dollars. The United States would then have a lifestyle be equal to our enemies now in the Middle East and any wars fought would have to be done with asymmetrical warfare. 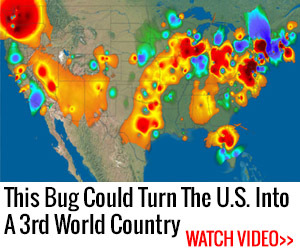 The entire country would be a war zone. The Lost Ways is a far-reaching book with chapters ranging from simple things like making tasty bark-bread-like people did when there was no food-to building a traditional backyard smokehouse… and many, many, many more! From Ruff Simons, an old west history expert and former deputy, you’ll learn the techniques and methods used by the wise sheriffs from the frontiers to defend an entire village despite being outnumbered and outgunned by gangs of robbers and bandits, and how you can use their wisdom to defend your home against looters when you’ll be surrounded. Native American ERIK BAINBRIDGE – who took part in the reconstruction of the native village of Kule Loklo in California, will show you how Native Americans build the subterranean roundhouse, an underground house that today will serve you as a storm shelter, a perfectly camouflaged hideout, or a bunker. It can easily shelter three to four families, so how will you feel if, when all hell breaks loose, you’ll be able to call all your loved ones and offer them guidance and shelter? 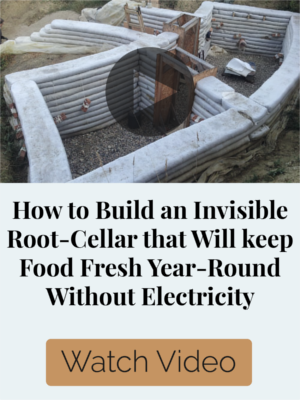 Besides that, the subterranean roundhouse makes an awesome root cellar where you can keep all your food and water reserves year-round. From Shannon Azares you’ll learn how sailors from the XVII century preserved water in their ships for months on end, even years and how you can use this method to preserve clean water for your family cost-free. Mike Searson – who is a Firearm and Old West history expert – will show you what to do when there is no more ammo to be had, how people who wandered the West managed to hunt eight deer with six bullets, and why their supply of ammo never ran out. Remember the panic buying in the first half of 2013? That was nothing compared to what’s going to precede the collapse. 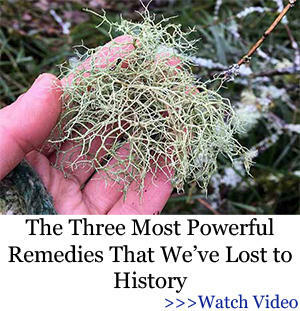 From Susan Morrow, an ex-science teacher and chemist, you’ll master “The Art of Poultice.” She says, “If you really explore the ingredients from which our forefathers made poultices, you’ll be totally surprised by the similarities with modern medicines.” Well…how would you feel in a crisis to be the only one from the group knowledgeable about this lost skill? When there are no more antibiotics, people will turn to you to save their ill children’s lives. 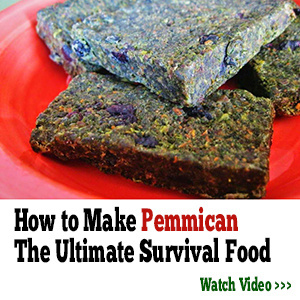 If you liked our video tutorial on how to make Pemmican, then you’ll love this: I will show you how to make another superfood that our troops were using in the Independence war, and even George Washington ate on several occasions. This food never goes bad. And I’m not talking about honey or vinegar. I’m talking about real food! 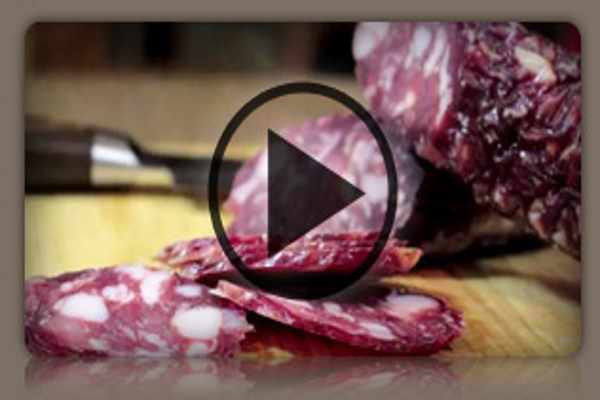 The awesome part is that you can make this food in just 10 minutes and I’m pretty sure that you already have the ingredients in your house right now. Really, this is all just a peek. The Lost Ways is a far–reaching book with chapters ranging from simple things like making tasty bark-bread-like people did when there was no food-to building a traditional backyard smokehouse… and many, many, many more! 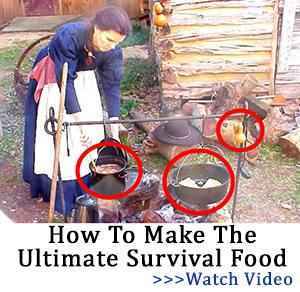 Making Traditional and Survival Bark Bread……. Books can be your best pre-collapse investment. WHAT YOU CAN DO NOW ABOUT THE THREAT OF AN EMP ATTACK? Woolsey: EMP catastrophe worse than effects of nuclear war -A nuclear device detonated above the U.S. could kill millions, and we’ve done almost nothing to prepare.